Rotana, which claims to be the leading hotel management company in the Middle East and Africa, has opened the Centro Al Manhal Abu Dhabi, adding to the three Rotana properties already established in the capital of the UAE. Perfectly situated just a few minutes from Abu Dhabi’s major avenues, main attractions and corporate houses, Centro Al Manhal comprising of 229 rooms, all with the latest technology, in-room entertainment options. The Centro Al Manhal features amenities customised to the business traveller’s needs, including two meeting rooms, a gymnasium and a swimming pool. In addition a number of dining options are available to suit the needs of all guests. Launched back in the days of cheap fuel (maiden flight 1991), and with Princess Diana as one of its earliest VIP passengers, the Airbus A340, with a total build run of around 375, has finally come to the end of its sales life. Airbus no longer has it on offer. 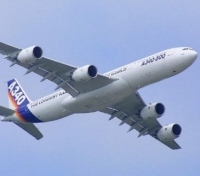 With four engines and no more than 440 passengers (most are fitted out considerably less), the A340 is not viable in the 21st century no matter how far it will fly non-stop. Its later sibling, virtually the same aircraft as far as the public is concerned, the A330 (first flew 1992, but with two engines), has been a great success, 1,174 ordered to date. Capable of carrying up to 335, it is still selling and likely to be in production until 2015. West Africa’s largest airline, Arik Air, based at Lagos is set to recommence operations between Abuja, the Nigerian capital and Heathrow, on 12 December. Both British Airways and Virgin Atlantic had been in dispute with the Nigerian authorities over traffic frequencies and this also now appears to be resolved. BA will operate daily to both Abuja and Lagos. Likewise Virgin Atlantic now flies daily to Lagos. Arik will offer a daily flight between the two capitals, complementing its daily Lagos – Heathrow service bringing Arik’s total frequency of flights between Nigeria and the UK to 14 per week. Arik will fly into Terminal 4 operating a New Generation Boeing 737-800 aircraft. It is a two-class configuration with 16 Business Class cradle style seats with 8.6’’ TV monitors and 126 ergonomically designed Economy Class seats with a seat pitch of 34’’. WOW air is the name of a new Icelandic budget airline due to commence operations in June 2012 with a pair of 158-seat Airbus A320s. The website has already opened listing 12 European points available to Keflavik International Airport. Route frequencies vary from once a week to three times. 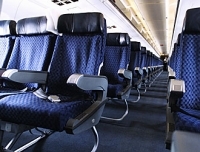 Passengers can pay for seat assignment upon booking, or take a chance when checking-in. Majority holder of WOW air is the investment company Titan, owned by Skúli Mogensen. Other shareholders are Baldur Baldursson and Matthías Imsland. Baldur Baldursson is the company’s CEO. Part of the Lufthansa Group, SWISS has taken the opportunity of the opening provided by the new Dock B at Zurich Airport to unveil its own innovations for travellers to and from its home-base hub. 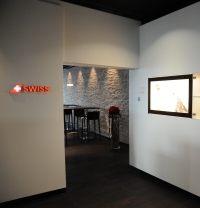 SWISS premium customers using the new dock’s non-Schengen zone can enjoy the advanced new Lounge D, with 650sq m of space to work or relax in. In parallel to the opening of the new Dock B, Zurich Airport has also created a new security check building which, with its centralized concept and its user-friendly state-of-the-art technologies, will bring substantially more efficiency to the security check process. The lounge is divided into two sections – one for Senators and Star Gold Card holders, and the other for Business Class travellers and Miles & More Frequent Travellers. Each section is provided with a separate working zone featuring free wi-fi, a spacious bistro area (with buffet) and an extensive range of newspapers and magazines. This regulatory milestone, whilst significant from an operational policies and procedures perspective, sits in the background as far as passengers are concerned. 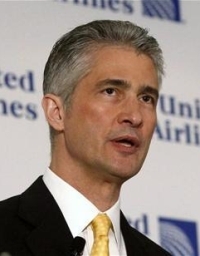 Customers of United and Continental can continue to shop for flights, obtain seat assignments and check flight status on each carrier’s respective website until the company migrates to a single passenger service system in the first quarter of 2012. At that point, the two carriers will function effectively as one airline. 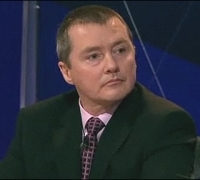 International Airline Group (IAG) boss, Willie Walsh, spoke to the Marketing Society last week telling members that the choice of the IAG name for the merged British Airways (BA) and Iberia was a deliberate ploy for a "bland and boring name to help focus on the brands in our business." Seen on a sign outside a maximum security prison in Dannemora, New York. “The Dannemora Fire Department reminds you it's fire prevention week. Stewart Wingate (39) was appointed Chief Executive Officer of Gatwick Airport in December 2009. 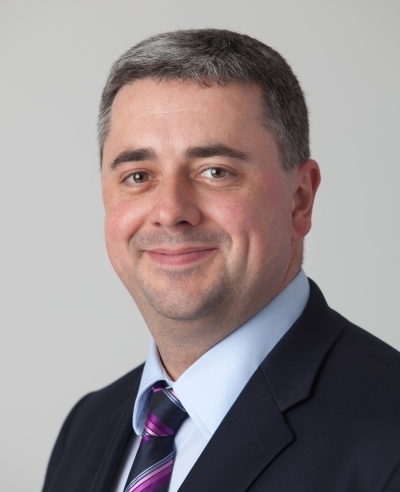 He was with BAA from 2004 until September 2009, as Customer Services Director of Glasgow Airport (2004-2005), Chief Executive Officer of Budapest Airport (2005-2007) and most recently as Managing Director of Stansted Airport (2007-2009). He was previously with Black & Decker (1988-2004), as General Manager of a start-up manufacturing plant in the Czech Republic (2002-2004), Operations Director in Spennymoor, County Durham (2000-2002) and European Marketing Manager based in Germany (1999-2000). He is a Chartered Engineer and has a Masters in Business Administration. It will be exactly two years on 9 December (when Vietnam Airlines arrive – Editor) that Gatwick Airport gained its independence from BAA allowing us, for the first time in the airport’s history, to contend for traffic with other airports in London and the South East, and indeed Europe. You could be forgiven for assuming that it is only leisure traffic that we are competing with other airports for, because of course Gatwick serves the leisure market very well. On that front we have seen existing airlines such as easyJet and BA expand their operations by adding new routes and increasing the number of aircraft based here. In other cases we have seen airlines, such as Norwegian and airberlin, move routes or their entire operations from other airports to Gatwick. But we are also looking to increase the proportion of business travellers that we serve and open up more long-haul destinations into South East Asia and the BRIC nations. And I’m pleased to say that we have had some pretty good success on that front so far. In recent months, we have seen new routes opened to Malaysia, Hong Kong, Seoul and China and we have established the first direct link between the UK and Vietnam. We are confident that more new routes will follow, and this is not only good news for Gatwick but also for the country. Runway capacity in the South East and the importance of ensuring London remains one of the best connected cities in the world is a much debated topic. But Gatwick does have the capacity to grow and accommodate more flights so we are in a good position to help the UK broaden its trade links with the fast-growing developing markets. The fact that airlines from South East Asia and the BRIC nations are choosing to operate flights from Gatwick sends a clear message that airlines can serve London as effectively from Gatwick as Heathrow, and that Gatwick can, and is contributing to the economic wellbeing of the UK. Bringing in key business routes is key, but we also have a lot of work to do in changing the business travel communities’ perceptions of Gatwick. So we are upping the ante in terms of providing more business travel facilities throughout the airport. We know that if someone is purchasing a premium priced seat on a flight and receiving a premium level service from the airline, that he or she will want the experience at the airport to match the value of the flight ticket. And that is why we have introduced Premium Security lanes in both terminals to provide business and first class passengers with a higher end, luxury experience. This is complemented by Premium Car Parking facilities giving time strapped business passengers fast and convenient access to check-in. We are at the beginning of this journey to develop an end-to-end premium service for the business traveller but we are making some good headway. Our vision to become London’s airport of choice is an ambitious one but it is a vision that is driving us to deliver improvements for all passengers at Gatwick. Our own surveys show that passengers want an airport that is welcoming, they want airport management to bust queues, wherever in the passenger journey, and they value the ambience and feel of the airport. Every month we are investing in excess of £20 million to deliver improved facilities for our passengers and airlines. We are seeing increased passenger satisfaction through the introduction of a range of innovative new products, including the impressive new South Terminal security area which uses the best technology to help them get through the security process within five minutes or less. Smarter scanning technology and automated processes are speeding up travel through the security area by 25% – increasing passenger capacity for each of the 19 new lanes to 250 passengers per hour. We put a great deal of thought into how best to combine new technology, information and increased space to improve the passenger experience. Large plasma screens in a spacious preparation area gives instructions in five different languages to help passengers understand exactly what they can and can’t take through security. Security access gates enable passengers to simply swipe their boarding card or Smartphone displaying their boarding card to enter security. Another useful feature are the colour coded lanes with screens displaying the actual queue time, enabling passengers to choose the lane they want to use. Other innovations include the dedicated family-friendly security lanes, premium security lanes, self-service check-in options and the expanded, new look North Terminal. We want to give passengers all the right reasons to choose Gatwick as their London airport of choice, whether flying on business or for leisure, and these improvements will certainly help us achieve that. UK Chancellor George Osborne last week was in no mood to help the beleaguered air transport industry with the news that APD will increase by double the rate of inflation from 1 April regardless of when the booking was made. All will become clearer tomorrow (6 December) when the revised mileage arrangement will be announced, together with taxation details for private jets. Hopefully the mileage bands will be based on actual distances rather than the present nation’s capital arrangement. Virgin Atlantic Chief Commercial Officer Julie Southern summed it up all for all. “It’s completely unacceptable that millions of passengers now face an additional tax bill on tickets they have already paid for. This stealth tax, hidden by the Government in the small print of a secondary document, isn’t a tax on airlines, it is a tax on passengers – tourists, businesses and British families alike. In spite of the problems associated with its parent company (see below) American Airlines has announced details of the interior selections for its fleet of 10 Boeing 777-300ER aircraft due for delivery in 2012 and 2013. These aircraft are remarkably efficient and will be welcomed as the carrier fights to reduce fuel bills and stay alive. It will be the first US carrier to take delivery. Arranged in a three-class cabin configuration, mood lighting is one of many new features. Entertainment options including up to 120 films, more than 150 TV programmes and more than 350 audio selections in all cabins, plus 110 volt AC power outlets and USB jacks. American does not plan for a premium seat product as such but will offer more legroom (40” plus attracts the higher UK APD rate – how will HMRC view it?) in the front of the Economy cabin, for an extra fee. 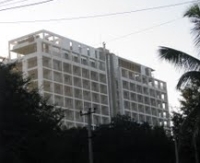 Alila Bangalore is now open, a boutique offering in the Whitefield business suburb of the city. It is about a one hour’s drive from the international airport. All the 101 contemporary Studio Rooms feature private balconies and merge a practical workspace with high-tech amenities and luxurious living quarters. The 12 Soho Suites, the first of their kind in India, provide a separate living area with guest bathroom, ideal for use as an office or meeting room. The seven Leisure Suites feature over-sized daybeds on the balcony. For a home away from home for families or longer stays, two 506sq m Alila Residences comprise a living room, kitchen, three bedrooms, library, large balcony and maid’s quarters. Alila Bangalore features a state-of-the art Events Centre with Lakeview Ballroom, two additional meeting rooms and a library, providing a versatile business and entertaining space. Complimentary wi-fi is also available for all guests throughout the hotel which also has three restaurants. The December report by airline timetable provider OAG (Dunstable, England), says that it is clear the continuing weak economy, airline consolidation, high fuel prices and fragile yields make it difficult for airlines to invest new capacity in some markets. OAG says there are a number of areas, routes and airports that are suffering declines and the reasons behind them vary considerably. 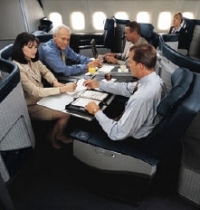 The global growth in scheduled airline seats for December 2011 is 3%. As usual, Asia and China capacity in particular are high growth markets for airline capacity investment. When the highly visible Park Hyatt Sydney re-opens its doors just before the end of the year after a nine-month AU$60m (£39m) rebuild it will feature three rooftop suites built on a new fourth level. This new level boasts, just shy of 360-degree, views spanning Sydney’s iconic Sydney Harbour, the Opera House and Harbour Bridge. The extensive remodelling includes a larger spa and gym, a new restaurant and private dining space. The meeting and conference facilities have also been completely revamped, catering from small group meeting or personal happening, to an experience for up to 150. The luxury 155-room property, with its idyllic waterside setting located in the Rocks district of the city on the edge of Sydney Harbour, closed in March for extensive renovations. Guestrooms have also been refurbished in a modern style and neutral colour palette, with technology such as media hubs to link gadgets to the TV. They start from 40sq m in size and all have balconies. Next Friday (9 December) sees the arrival of Vietnam Airlines at Gatwick. The occasion is a significant new entry for the airport, and major step forward for the airline. On board the 13hrs 5mins non-stop flight from Hanoi is expected to be Dr Pham Ngoc Minh, President and CEO of Vietnam Airlines. 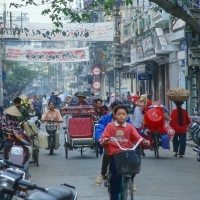 Vietnam Airlines plans to initially operate twice weekly between Gatwick – Hanoi, and also twice weekly Gatwick – Ho Chi Minh City (formerly Saigon), using a Boeing 777-200ER, with three cabins, Economy, Deluxe Economy and Business Class. The airline will use the North Terminal. Vietnam Airlines is significant for the airport as it marks another major breakthrough in its quest to attract new long haul airlines, particularly from South East Asia. 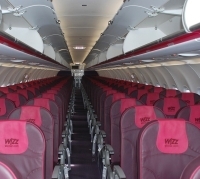 Wizz Air, now the largest low-fare airline in Central and Eastern Europe, is to open two new services from Gdansk, Trondheim and Haugesund (both in Norway), starting April 2012. The routes will operate twice per week initially. Services from Gdansk to Oslo Sandefjord Torp will double from three to six times per week. With the addition of Trondheim and Haugesund to its network, Wizz Air offers flights to 22 major European cities from Gdansk, five of which are in Norway. Latvia has taken complete ownership of formerly part state-owned airline airBaltic after the collapse of a local bank and is looking for a strategic investor, according to the former Soviet Republic's Transport Ministry. This follows the collapse of a bank which held a minority stake in the airline after earlier financial difficulties. Back in September the State said that it would support what is effectively the national airline. 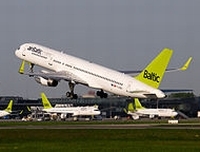 The Transport Ministry said in a statement that it decided to take the airBaltic shares to protect the state's interests. 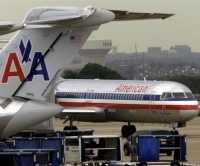 American Airlines parent company, AMR, applied for US Chapter 11 bankruptcy last week in a bid to cut costs, combat soaring fuel prices, and re-organise itself. A member of the oneworld consortium, and partner to British Airways on the North Atlantic, the airline says that passengers nor schedules will be affected. However creditors certainly will although it says that the move has no direct legal impact on operations outside the United States. Major orders with both Airbus and Boeing may have to be re-negotiated. Once the biggest US carrier, American now ranks behind United and Delta both of whom in the past have taken the same legal route in successful moves to cut labour expenses and trim outgoings. However some analysts question whether restructuring will address operational shortcomings and bolster revenue, questioning the airline’s place in hierarchy of North American carriers. With the legal restraints imposed it could be open to a take-over. The new thrice-weekly flights join Qatar Airways four other Chinese destinations – Beijing, Shanghai, Guangzhou and Hong Kong. It is the 110th destination in Qatar Airways global network. As a major manufacturing centre, Chongqing is a key transportation hub located in the upper reaches of the Yangtze River, a vitally important shipping waterway in China. With Beijing, Shanghai and Tianjin, it is one of only four municipalities in China which report directly to the national government. Starwood is really ‘getting on bike’ and expects to open five more Sheratons in China before the end of the year. In the next two years, nearly half of all new Starwood hotels slated to open in China will fly the Sheraton flag. Over the next month or so Sheraton will open its first hotel in Hangzhou its second hotel in Xian and two hotels in Changzhou. This surge in new hotel openings will grow the Sheraton brand’s footprint not only in China’s largest and most established cities, but also in many of the country’s fast-growing metropolises and resort destinations. In addition to the new openings, seven new Sheraton hotels and resorts debuted in the region this year, in Beijing, Shanghai, Guangzhou, Chongqing, Zhenjiang, Hainan and Jinzhou. 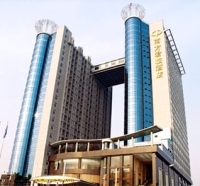 With the addition of these 12 hotels, Sheraton will grow its portfolio to 46 hotels in Greater China by year’s end, moving Starwood closer to its goal of operating 100 hotels in Greater China by the end of 2012. Whilst clearly not catering for the business travel market the current problems of Thomas Cook, the world’s oldest travel firm, will have an effect on both airline and hotel bookings around the world. Although Thomas Cook Airlines caters in the main for the holidaymaker, with around 40 aircraft and eight million passengers carried last year, it is a substantial operator and Britain’s fourth largest air carrier. Rapidly running out of cash Thomas Cook said that its banks, led by Barclays, HSBC, RBS and UniCredit, had agreed to provide a new £200m facility available until April 2013. 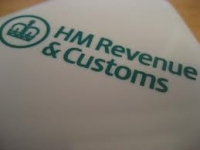 It replaces a £100m announced just a few weeks earlier. 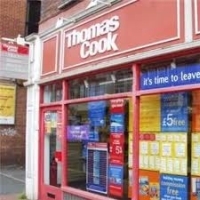 Thomas Cook faces an uphill task to restore the confidence of customers and investors ahead of the new year booking season after revealing a 30% drop in UK sales in the days following news of its financial troubles. The company is still without a new chief executive after industry veteran Manny Fonenla-Novoa quit in August. It had to happen. Virgin Atlantic has now introduced a flight status check via Twitter, which is claimed to be a ‘first’ but no doubt will be copied by airlines all around the world. 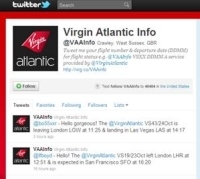 The “tweet bot” @VAAInfo takes a customer query about a flight status and tweets back within seconds giving real-time flight departure and arrival information. This new tool is perfect for passengers looking to check their flight status on the go as a quick, single line tweet will generate an immediate reply. Our regular contributor Jane Stanbury has been off on her travels again, this time to Barcelona and the biggest incentive meetings gathering of them all, EIBTM. 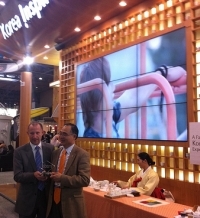 Three Cs drove the ethos at this year’s EIBTM. Collaboration, co-operation and competition. 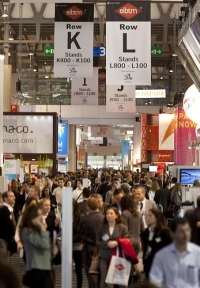 The 23rd annual European incentive meetings and conference exhibition was held in Barcelona last week. 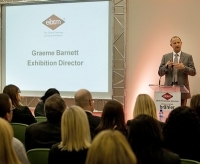 This year’s show saw over 9,250 visitors and buyers attending, up 10% on last year. What gloom you might say. Or are their signs of optimism around. Key to the success of the show is the Hosted Buyer programme which sees vetted and qualified buyers attend as guests of the show. 3,904 Hosted Buyers spent their time attending over 64,000 pre-scheduled meetings. They are responsible for billions of dollars’ worth of business. 47% of the invitees were said to have budgets of more than US $1m. Getting them there is an essential part of the event and nothing is left to chance. I was lucky enough to join one of the UK charter flights from Gatwick, and stepped out with trepidation into the early morning light of Wednesday 30th, the day of predicted chaos owing to the UK’s national strike. It’s interesting to note that the “charter” was once deemed to be the poor man’s way of travelling, remember the mouldy sandwiches, uncomfortable seats and endless delays. Not so these days. Our charter arranged by Air Charter Travel which specializes in large group charter and celebrates 20 years of operations this year, delivered a truly memorable experience, and reminded me how travelling should be. Dedicated check-in desks at Gatwick made the early morning start bearable as no queues and smiling check-in staff quickly handled the 128 passengers on the flight. Once on board the branded flight bucks fizz, followed by a delicious hot breakfast – which kept me going to 2pm – was served along with an EIBTM catalogue so buyers could plan their schedules. It wasn’t just the passengers who enjoyed the service, the Thomas Cook crew was happy to be of service commenting that for them it was just like “the old days” when full service was provided to the clients. In a challenging economic environment hosted buyers were treated to a number of innovative approaches to business with a variety of destinations collaborating to make their regions more attractive. On the smaller scale the regions of Málaga, Gijón and the Costa Del Sol have created an alliance to co-operate to improve their profiles and understanding of their offerings over the next four years. At a national level Lithuania, Latvia and Estonia are carrying out a similar exercise and Slovenia is working with a collection of other Southern European countries to do the same. A Northern Lights Cocktail event celebrated a similar collaboration between Denmark, Finland, Iceland, Norway and Sweden. Working together these alliances can bring more knowledge, experience and maximize synergies to compete with other destinations. From the buyers perspective these collaborations provide single sources of information so saving time and providing depth of knowledge about a number of options. This is an attractive proposition in a world where buyers are time poor and vying for the next piece of business. New destinations on show to the buyers included The Kingdom of Bahrain which was making a debut promoting itself as a conference destination. Taj hotels returned for the first time in five years and were pleased to meet their objectives for the show. The Balearic Islands also had a first time presence with a number of properties exhibiting including the Hilton, Blau Porto Petro and the soon to open Jumeirah Pto Soller. The new waterside Palau de Congressos in Palma also had a presence as it is set to open in Spring 2012 will have capacity for 2,400 people placing it firmly on the conference map. Initiatives introduced included The Future Events experience which explored how technology and social media will increasingly affect the future of events. It will undoubtedly be a core part of yet to come MICE business and has the capacity to extend any event beyond the four walls of the room. EIBTMTV offered broadcasting well beyond the sunny Barcelona environs. Attendees are likely to be directing presentations through digital questioning, and providing interactive feedback to the presenter. In fact delegates will most likely be able to book their own speaking slots, a business version of speakers’ corner for those that have something to share. The famous dot.com adage of content is king will likely be transferred to the MICE arena where all taking part can contribute knowledge to create a wealth of intelligence, rather than just single source deliveries. Conference planners, incentive meeting arrangers and the venues should heed well the desires and challenges presented by this upcoming generation. The conference hall atmosphere was buoyant but the bottom line is where the MICE business future market is headed. 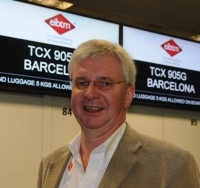 Rob Davidson the EIBTM industry analyst presented a number of key developments for the industry. Trends show that buyers will consider second and third tier cities and destinations to maximize budget, a pattern that is likely to continue until some kind of economic stability is reached. Good news for the Central and Eastern European block which has seen substantial increase in MICE business through-out the economic downturn. 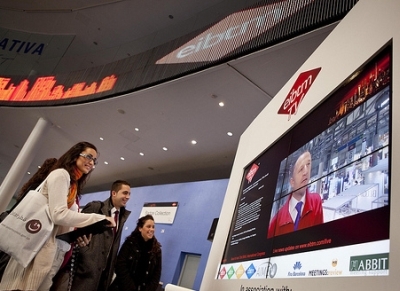 EIBTM saw an increase of visitors from Russia, Latin America, particularly Brazil this year, and Davidson suggests that these economies will be the engine of the global recovery and Brazil, predicted to take over the UK as the world’s sixth largest economy in 2012, is the one to watch.